Cheeky Tom Ford displayed an AW collection during New York Fashion week SS wear for 2017. His pieces becoming available the day after the show. Now I said cheeky Tom Ford, but he is Genius Tom Ford. Some could say he has played into the hands of Fast Fashion, others could say he has beat Fast Fashion. Will designers follow and change Fashion Week forever? Will Tom Ford continue this change, with a SS Collection in February? 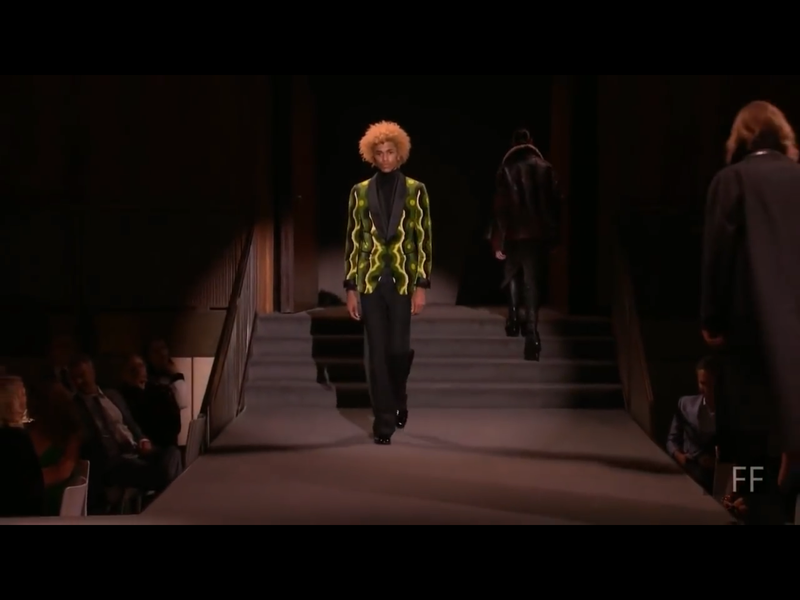 Now I heard that Burberry were doing something similar by offering their collection soon after the catwalk. Something that normally happens in around 6 Months. I am interested to see if they were as smart as Ford by offering AW or will SS be available in The wrong season. The four seasons dining hall for location really set the scene. It was elegant with a rich urban tone. The music is soul felt and perfect. This show really is a must see! Whilst there is a big hype over the celebrities that attended the show, I remain interested only in the collection and the show. Although I Did like that a lot of them were wearing Tom Ford. New Years Eve! That’s the first thing that springs to mind when I see all the pieces collectively. Daywear was presented first, followed by Eveningwear. I love to see organisation. It’s like glamorous wear for all your festive outings followed by all the the glitz and glam in a big New Year Ball. New York style, of course! The collection was grown up and fabulous. It was stunning from day to night. The classic Autumn tones used really kept all the traditions it needed. There were belts, buckles and large bulky accessories that gave edge to the collection. 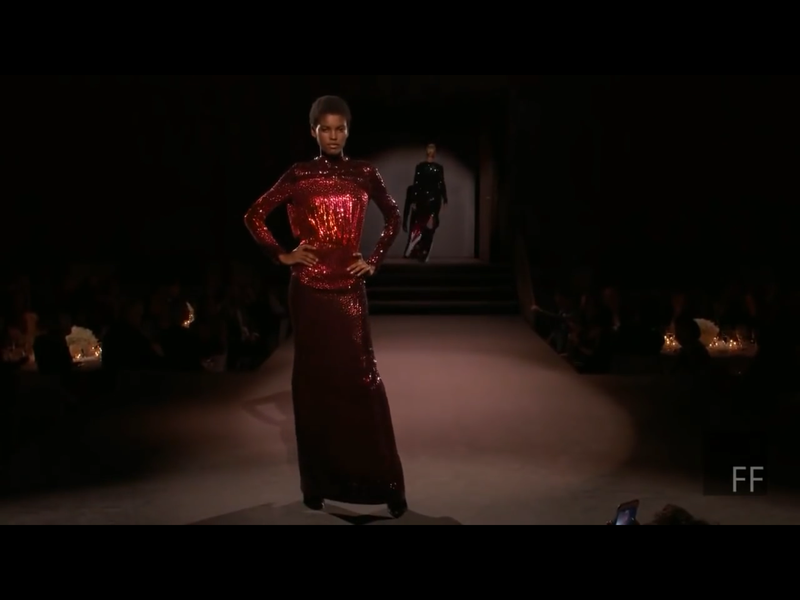 The pieces were sleek and womanly. Whilst the menswear stayed sharp and suited. There was lots of glitz and sparkle, then flashes of leopard print. ﻿Then the final dress was just stunning! 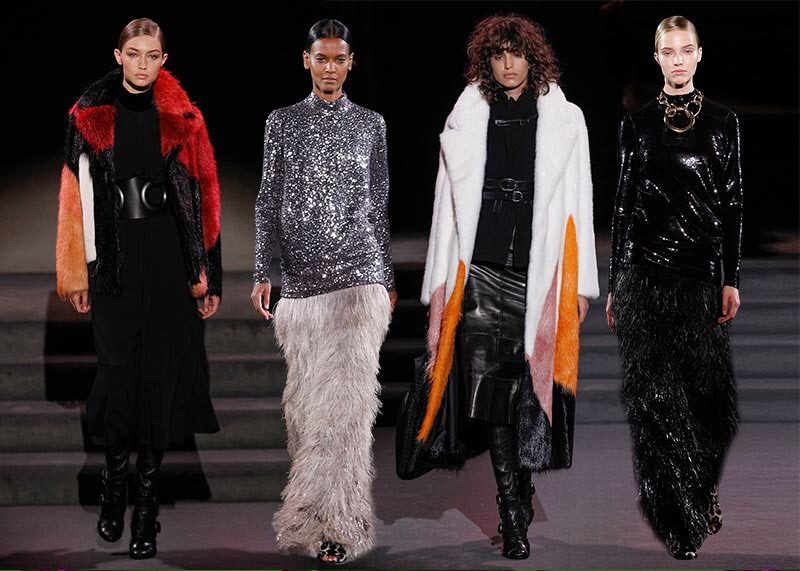 Tom Ford pulled so much that was admirable the location was classy, showing a collection that is instantly available is genius, the collection was flawless!! Tom Ford is a business man and an artist the perfect combination! !